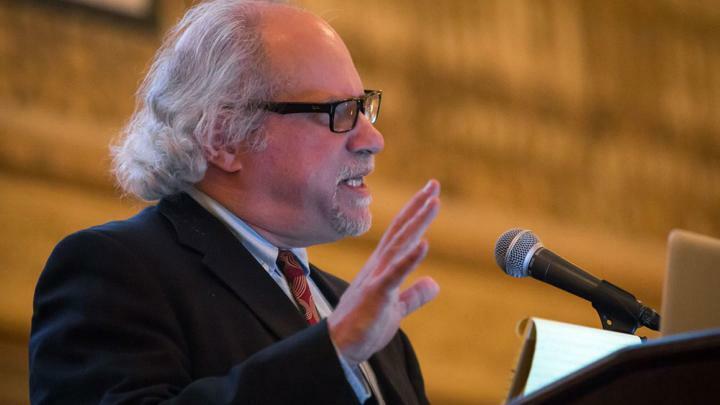 An important critical voice on visual art fell silent last weekend with the sudden death of James Yood, who regularly penned articles for Artforum, art ltd., and Aperture in addition to Glass: The UrbanGlass Art Quarterly, the print magazine which produces the Hot Sheet. 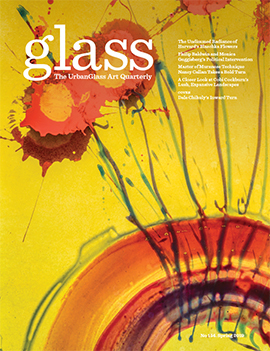 Yood's first article as a contributing editor to Glass was a Spring 2001 review of a Jim Dine exhibition in Chicago, where Yood immediately revealed his keen eye not only for sculpture, but sensitivity to the unique nature of glass and the commitment required to unlock its unique material properties. Calling the exhibition at Richard Gray Gallery "more of a roller coaster experience than one might have expected going in," he pointed out how Dine's embedding of found tools contrasted with Mary Shaffer's exploration of similar terrain. Unintimidated by Dine's art-star reputation, Yood drew a pointed contrast with another artist's richer approach: "Dine seems to use glass as some kind of silicon paint, as colored or clear substance that is optically penetrable and an excellent sheathing for his tools, while Shaffer sees glass as volumetric and weighty, often using slumping as a device to emphasize gravity and process." 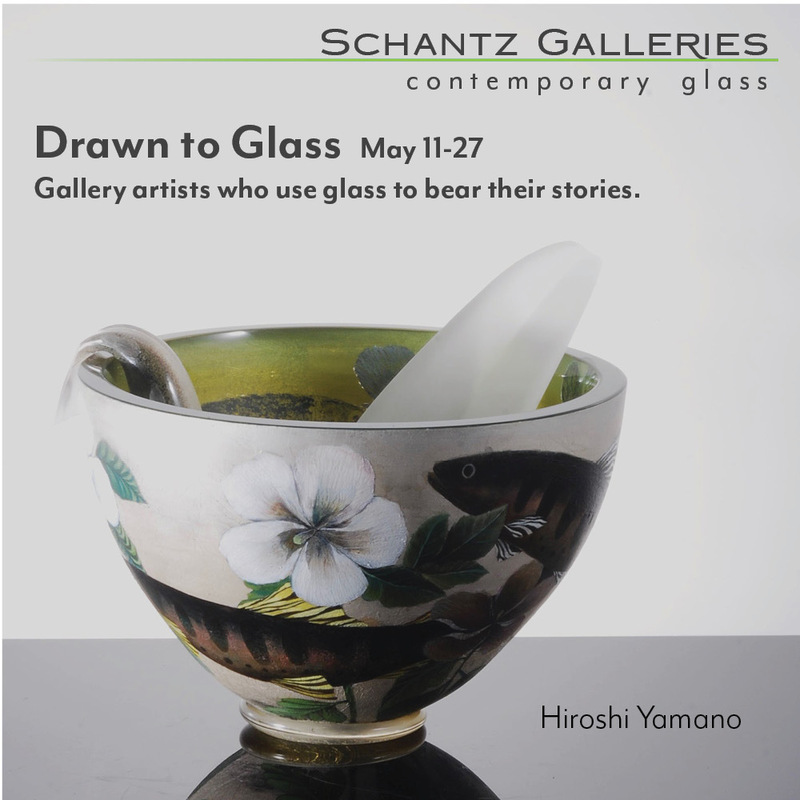 In his frequent reviews and feature articles for Glass, Yood showed how criticism could be at once both highly informed yet full of the vitality of seeing, which animated his experience of works of art and was topped off by his dazzling use of language and the ability to capture the essential in a few words. The pleasure of reading him was the chance to view the world through his learned, highly-tuned eyes to all things visual, and savor his love of language. As editor of Glass, I've had the privilege of (lightly) editing his writing for 14 years, and would eagerly await his first drafts knowing they would be immediately engaging even as his linguistic gears were turning on the critical arguments assiduously assessing the success of a given body of work. He brought similar qualities to his numerous public presentations, many of which I've attended at the SOFA art fairs in Chicago. I also moderated panels on which Yood was a provocative panelist. Yood would pass judgement without hesitation, but always with a certain humanity. He strove to honor what the artist was after and the investment it required. It was this effort to connect with the artist's intent and to bring it to life that he referenced in a 2008 interview with Chicago Artist Resource, a publication put out by a coalition of the city's artists to which Yood freely shared his insights on how he saw his role being "to look and think as hard as possible." "The critic should describe, interpret, and evaluate, and try to give the artist a verbal voice," Yood said, simplifying the complex fusion of personal experience, art historical knowledge, and deft description that allowed him to definitively sketch an artist's career in a couple of sentences, and to render judgement without being dismissive. When I asked subscribers to the magazine what they thought of the publication, more would reference Yood's articles than any other contributor, one reader even sharing that they prefer his articles over actually seeing a work itself. In addition to his critical writing for periodicals, Yood was frequently tapped for essays for artist catalogues and book projects, including two books on William Morris. 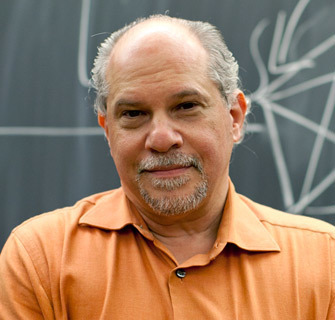 Even as he produced prolifically, he maintained faculty positions first as a professor of art history at Northwestern, and later as the founder and head of the New Arts Journalism program at the School of the Art Institute of Chicago, where he worked to train and inspire a new generation of potential art critics. Just last week, Yood was working on an essay on a Frank Gehry-designed glass desk in the lobby of the Inland Steel building called Icehenge, which he wanted to connect to the architect's glass fish sculptures from the 1980s, as well as the fenestration in his buildings. The pitch was pure Yood, a fusion of a visual experience he had logged in his travels and his knowing insider's take (he pointed out that Gehry was a part-owner of the Inland Steel building). Underpinning it all was his encyclopedic knowledge of sculpture and architecture. Yood died before the article was completed (he promised a first draft yesterday) but I am sure it would have been filled with all of the effortless fusion of vital description, intricate interconnections, and the joy of looking closely that defined a singular voice that will never stop reverberating on the pages of hundreds of magazines and dozens of books. James Yood is survived by his artist wife, Lorraine Peltz, and daughter, Lily. There will be a service on Friday, April 27th, at 12 noon at Chicago Jewish Funerals at 8851 Skokie Boulevard in Skokie, Illinois (Tel. 847.229.8822). The Yood family requests that instead of flowers, donations be made in his name to the School of the Art Institute of Chicago, which may be reached at 312.449.4190.